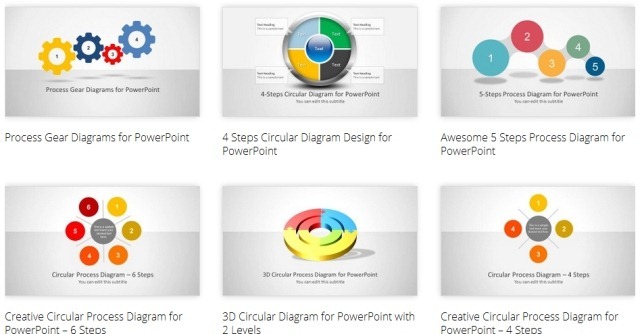 When making your next presentation, why not make it exceptional with the help of impressive PowerPoint designs and templates, crafted by professional PowerPoint Template designers? 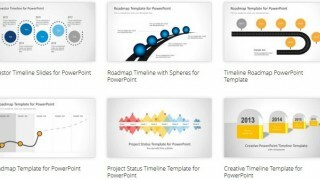 Below are links to PowerPoint Templates that are bound to impress your audience. Timelines are an important and useful method for laying out your plans for a project. 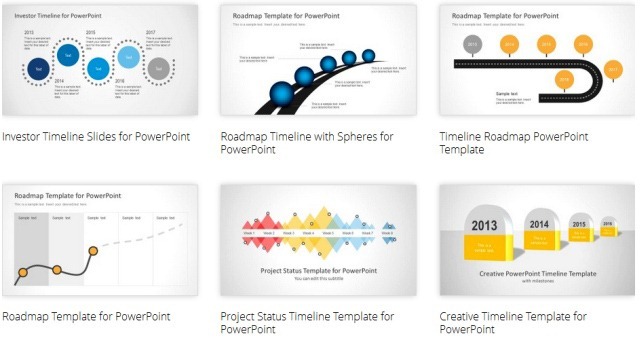 Unfortunately, making an impressive PowerPoint timeline on your own can be next to impossible for average users. However, you can make use of timeline templates to make your job easy. The below images show timeline templates at Slide Model which have been designed in 2D and 3D format with multiple sample slides that offer diverse layouts for making an impressive timeline presentation by simply adding your own text. Map templates can be quite effective in presentations, however; due to lack of availability of good templates, they are quite underused. If you are looking for map templates for individual countries (e.g. USA, UK or India), continents or templates with the World Map, then refer to link for the Map PowerPoint Templates (given below). Unlike common PowerPoint templates, these templates are highly customizable and provide the flexibility to move around the given clipart and parts of the map across different slides. Process diagram templates are meant to provide sequential slides that can be manipulated to suit your presentation topic. Such templates provide layouts for making diagrams about different steps of a process. Process Diagram Templates at Slide Model provide eye-catching graphics and highly customizable slides, with symbolic imagery that can be moulded according to any topic, to help you make diagrams for complex processes, with ease. 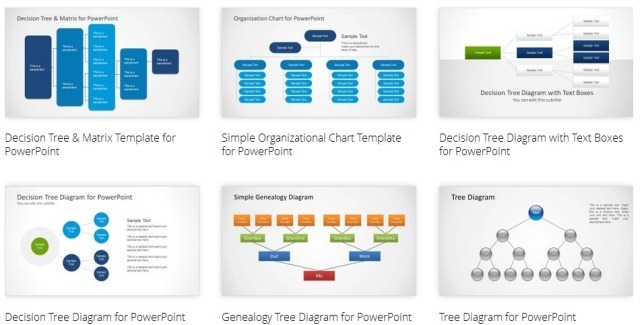 Perfect for making organizational charts, sequential slides and production process diagrams, the PowerPoint Tree Diagram Templates are just what you need to create tree diagrams with the help of visually appealing graphics. These templates come with designs created with some outside the box thinking. 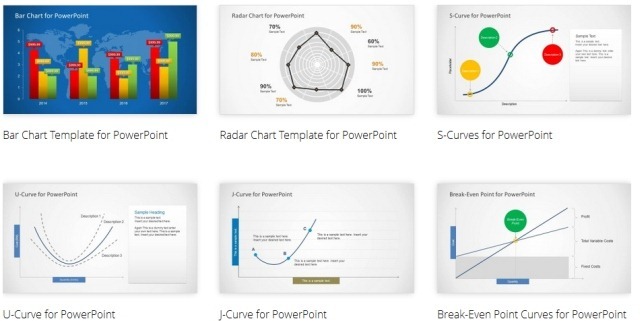 The Shape Templates at Slide Model provide a refreshing new look for making presentations on conventional topics, as well as for unusual subjects. 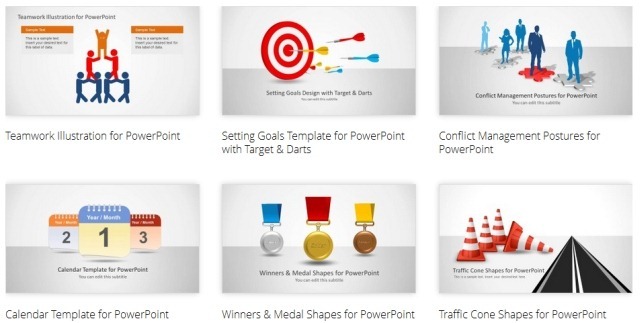 You can browse through the plethora of our PowerPoint Shape Templates from the link given below; to find the template that best matches your requirements. Sometimes all that is required to make a good presentation is the need for some well-crafted text boxes and tables. 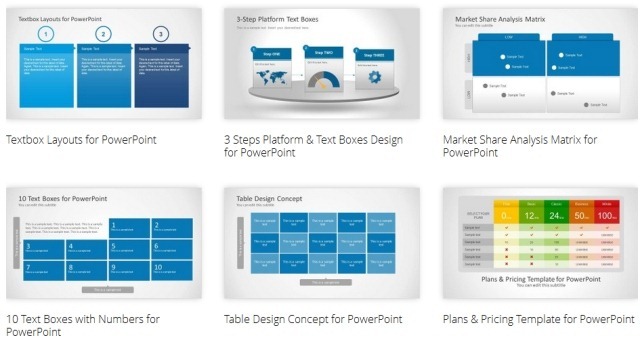 Our PowerPoint text and table Templates provide just that, with some exceptional icons, images and clipart. Need some impressive data charts, curves, demand and supply diagrams, SWOT Analysis slides or curve templates? We have them all. Whether you need to make a PEST Analysis or a simple J-Curve diagram that can be edited for making a professional and statistically accurate slide, you can use our templates to make one in no time. Tags: Analysis Templates, Business Plan Template, Business PowerPoint Templates, Diagram Templates, Map Templates, Maps, Project Planning, Templates, Timelines.